12 Best Things To Do in Kagoshima – A Beautiful Place in The South! Kagoshima Prefecture is located in the Kyushu area or the southern part of Japan. There are so many things to explore and great tasting food to devour. You can find almost all types of nature and activities that can make your vacation more worth keeping. 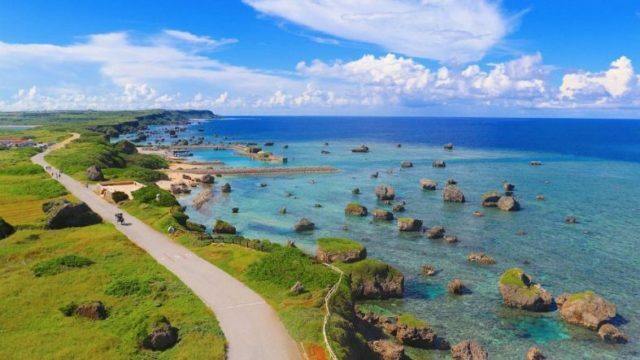 Listed here are the best things that you can do in Kagoshima to fulfill your desire in doing some adventures everywhere! Sega-en is also known as Iso Teien, the garden is a serene Japanese style landscape garden constructed in 1660. 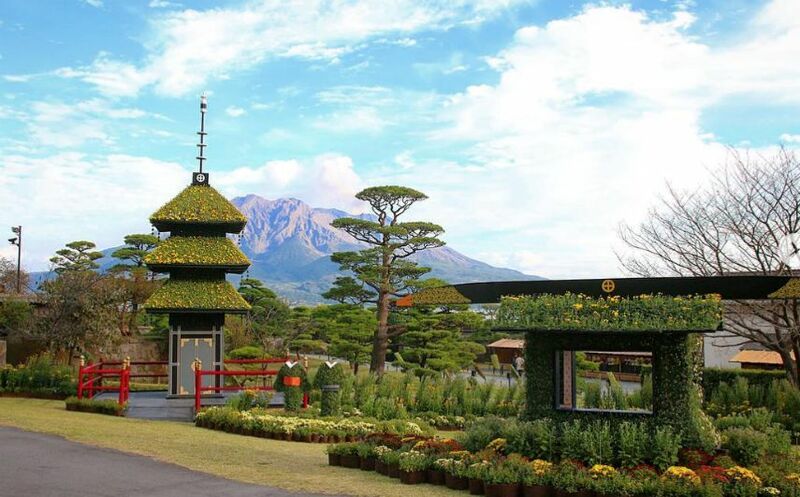 Offering exquisite views of the bay and volcano, the former villa of the powerful Shimazu clan includes artificial rivers and mountains, a bamboo grove, cascading waterfall and traditional poem writing garden. The adjacent Shoko Museum fee is included with the garden entrance fee…don’t miss it! One of the major sites in Kagoshima, the garden is mapped out nicely with a nice order and the upkeep is very good. There is a glass museum/shop next door. Inside the garden, you have numerous opportunities for shopping for all kinds of Japanese trinkets. Shiroyama park in extends over Mount Shiroyama and was formerly the site of a castle fortification, which led to its name. Shiroyama means “castle mountain” in Japanese. The castle’s former grounds at the base of the mountain are now the Reimeikan Museum. It has spectacular views over Kagoshima Bay and Sakurajima. At night if there is a clear sky and bright moon Sakurajima is visible. 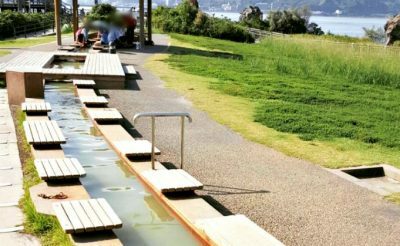 There is also a outdoor hot spring bath at the nearby Castle Park Hotel, which is also open to non-staying guests. The park was also the site of the final battle of the Satsuma Rebellion in 1877. 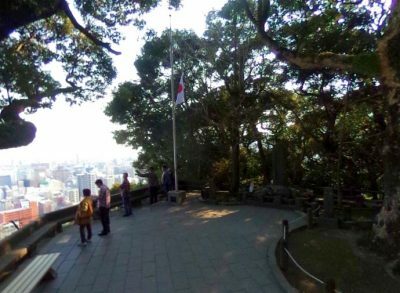 The local hero Saigo Takamori is said to have made his last stand at Saigo Cave, located within the park. This is a public foot bath, not completely sheltered. During the rainy days, the sheltered seats are partially soaked. The area is about 100m long, one of the longest foot spa in Japan. Only 10min walking distance from the pier. This was one of the high-light of visiting Sakurajima. Remember to wear a mask to screen off the volcano ashes. Also, make sure to bring your own towel and prepare to soak in warm water up to your calf area. The zoo has a nice selection of animals. The cages are not horribly small, and it seems like the animals are well cared for. I believe that you can get a discount if you buy a combo ticket of the Kagoshima aquarium and the zoo. 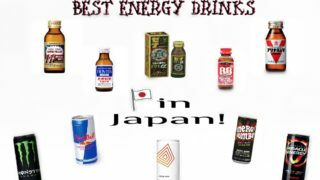 The entrance fee is ¥500 per person. They also have a coin lockers at about ¥100. 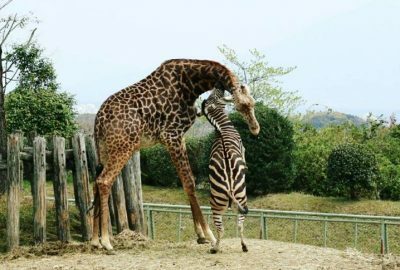 To get there, you can catch bus number 2, from Kagoshima Chuo station, it usually has Hirakawa Zoo written as one of their destinations. But you may ask the driver. You can also catch the train and get off at The Hirakawa stop but the walk is about 20-30 mins to the zoo. Tsurumaru Castle was once very unique as it did not have a grand castle keep which all other main castles have and relatively weak in defense. 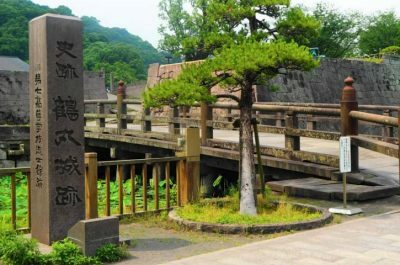 The defense system for Satsuma was the over one hundred sub-castles scattered through Satsuma that were guarded by samurais who would be called to defend Tsurumaru Castle when needed. The history museum Reimeikan now stands where the main castle building once was. Other than outside walls, there is not much left to see. 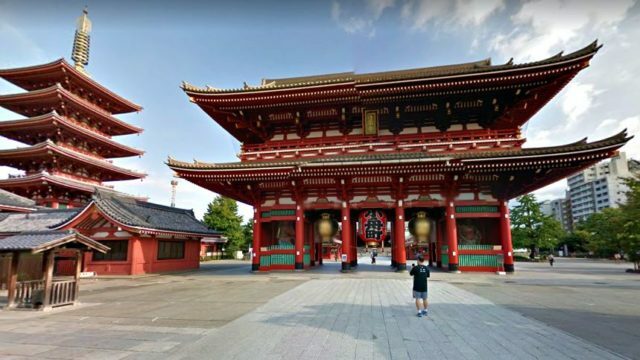 Shrines are almost everywhere in Japan and it is just amazing to see and learn different stories behind. 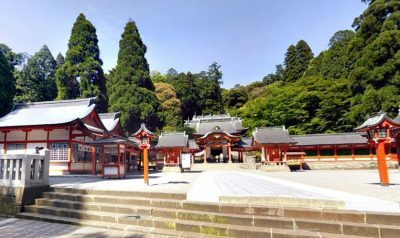 Kirishima Shrine is the most famous attraction in Kirishima and it’s probably one of the most famous shrines in Kyushu and is beautiful too. The shrine is big yet the inside of it is not open to public. So don’t expect to spend too much time here on sightseeing. Like many other Japanese Temples, The Kirishima Shrine offer A store called pays off the Japanese culture stop when we visited, the Shrine prepared for the new year festival, and the whole place felt really festive with lots of small stores and local tourists visiting. This shrine is dedicated to Nariakira Shimazu, a famous feudal lord of Satsuma (Kagoshima) at the end of the Edo Period. He was a brilliant man, who made a great contribution to the modernization of Satuma after the model of the Occident. 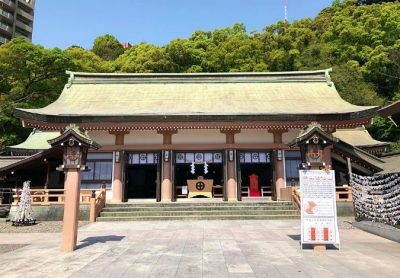 It is in fact the biggest shrine in Kagoshima city and known to be a power spot. Chiran Samurai Residence Complex has a lot of beautifully built samurai houses and great lanscaped gardens. It is said to be the compound of more than 500 samurai residences during the Edo period. 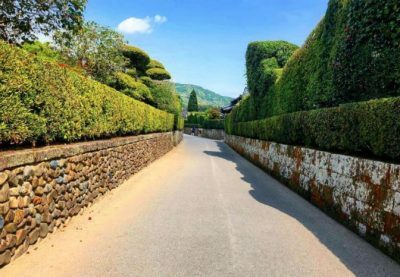 The area is not big but these special houses and gardens are well maintained and show the modest samurai houses at that time. Probably best season to visit is May with all blooming azalea in the garden or Nov with fall colors. Onsen or hot spring will always be part of Japan’s best places to heal and release body tensions. 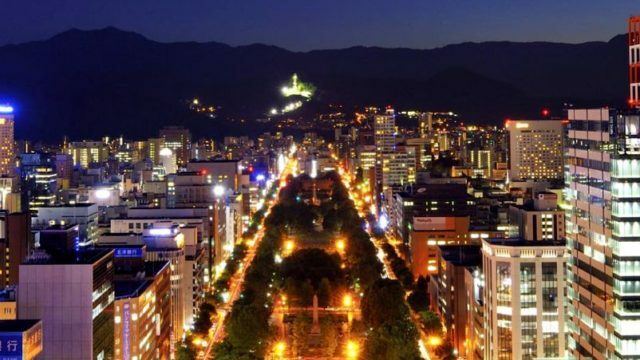 In the Kyushu area, there are some famed onsen spots that you must consider visiting. 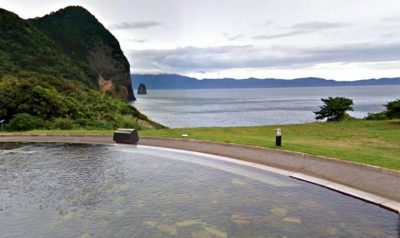 This place is pure Kyushu: an open air hot springs with magnificent views of Mount Kaimondake and a view of Kagoshima bay opening into the Pacific ocean – all in a sub-tropical setting. After a day exploring the Ibusuki peninsula, this is the perfect way to let your tired feet and body rejuvenate! 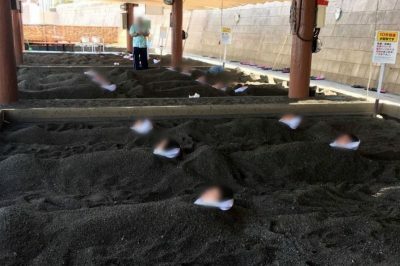 This is the only lava hot sand bath onsen in the world, and it is worth a visit if you are in the area. Ibusuki is an enjoyable hour-long drive from the city of Kagoshima; you will know you are there when you see steam rising from the beach. The staff are caring and helpful, often going out of their way to take care of the kuds and make us feel comfortable. The price of the natural onsen is great compared to artificial onsen resorts. There are multiple trails, depending on the choice it ranges from 1 hour to 6 hours, most of the sections are covered in forest and mosses-covered grounds and stones. The scenery changes along the trail and it is possible to see different parts of the forest and at the end rewarded with an overview of the Yakushima mountains. Take a guide if the weather is bad and it really makes a difference when you have the further explanation from them. 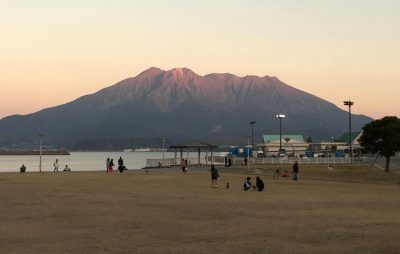 A visit to Sakurajima is great for those who don’t get a chance to mingle with volcanoes very often. 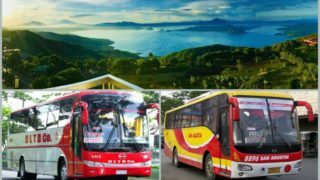 It’s just a short 15 minute ferry ride, but we recommend hiring a car, bike or bicycle as the Island View bus only goes around once an hour so you’re either rushing to take pictures, or would have to wait a whole hour before the next bus comes around. The foot spa is great, and we also did the 3km lava trail walk which takes you through hardened lava as well as crops of vegetation that have grown since the last major explosion. There’s a saying that goes: No food, no life! I guess this applies to all travelers as every journey won’t be complete without tasting some local food in some travel destinations. 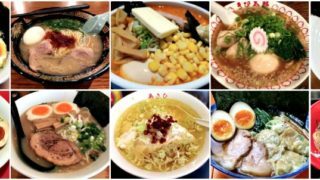 Scavenge for these restaurants listed below and you’ll never regret trying them out! Wakana is a place where you can find the local food in Kagoshima called satsuma age”. It is also a great place to eat Shabu shabu. You can order full set menu for 4,500 yen. It was a multi-course meal with more than enough food. The pork was undeniably delicious. The Kibinago (Silver Sprat sashimi) was equally good and has an impressive presentation. Wakana is a place where you can find the local food in Kagoshima called “Satsuma age (fried fish cake)”. It is also a great place to eat Shabu shabu. You can order full set menu for 4,500 yen. It was a multi-course meal with more than enough food. The pork was undeniably delicious. The Kibinago (Silver Sprat sashimi) was equally good and has an impressive presentation. 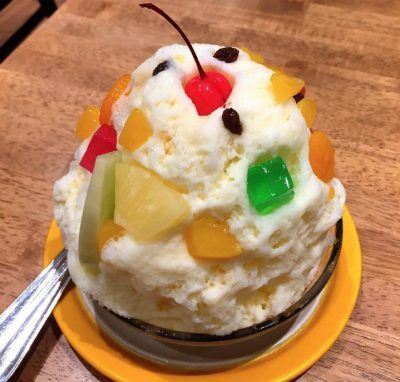 This restaurant is famous for ice flake. We tried to eat ice flake. The reputation is true. You should not mention the taste of ice flake unless you eat ice flake in this shop. The street is good to walk and see the atmosphere. 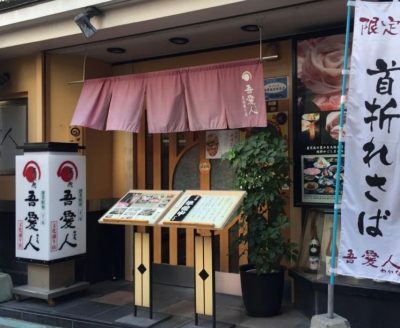 Ishizue serves original shochu and with over 1,500 bottle displays of all Kagoshima native shochu (in which the prefecture is proudly known for). No wonder this place is a famous spot for travelers finding something authentic to drink. 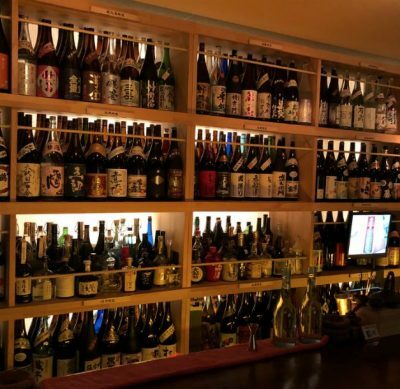 The owner and the staff also patiently explains the dramatic taste and effect of each shochu to help you make the right choice of drink. To secure a spot you can make a reservation in advance, or you can just walk in at your preferred time. Hopefully, this place has plenty of seats to offer all the time!